You are cordially invited to celebrate in Roaring Twenties style for a Great Gatsby Gala at New Kent Winery! 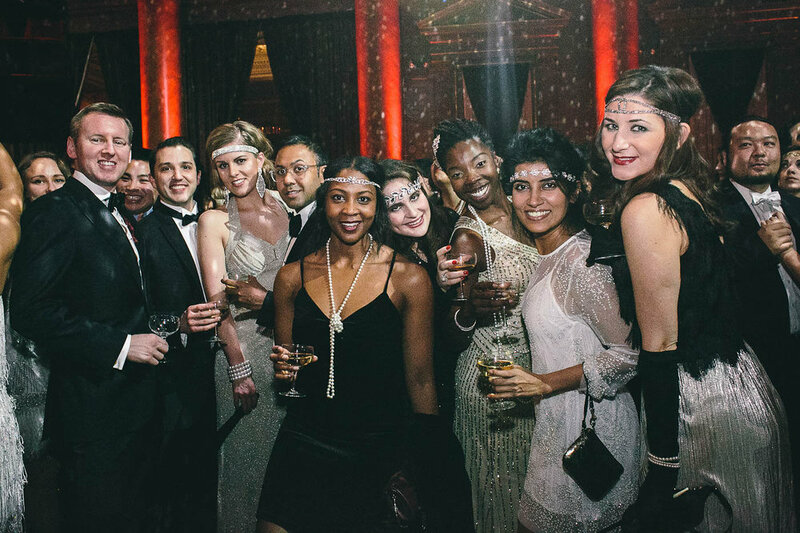 You will step back into the 1920s for an evening of the live music, delicious foods, wine, beer, fanfare, and decadence that defined Fitzgerald's celebrated novel. A portion of the event's proceeds will benefit the Bridging Communities Career and Technical Center here in New Kent, Virginia. One of Virginia's finest Jazz Bands, Good Shot Judy, will be playing host from 7-11pm. Good Shot Judy is a Virginia-based band specializing in classic vocal jazz entertainment...bringing the swing and the swagger. Please sample their music at the link below. Admission to our Great Gatsby Gala will be $50. This will include your admission, heavy hors d'oeuvres throughout the entire evening, and your first glass of wine or beer. Additional wine or beer will be available for purchase during the gala. The evening is sure to be a celebration of all the senses, with wine and beer flowing, 1920s decor, and an array of specially crafted foods prepared by our in house chef. Twenties themed attire is encouraged. Guests must be 21 and over to attend. Tickets will be limited for this exclusive event.